Made with genuine, high quality black onyx stones set in 14k solid white gold. Cross Dimensions: Just over 1 1/4" (36mm) tall by 1" across (with hoop 1 3/4" tall). Cross measures 2.5mm thick (solid). 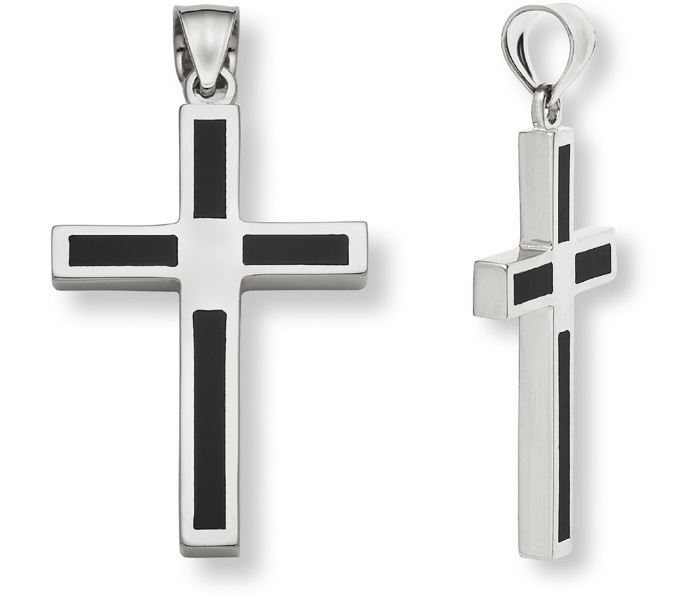 We guarantee our 14K White Gold Onyx Cross Pendant to be high quality, authentic jewelry, as described above.